While not many people set out to go visit Macon Georgia, the majority of Georgians that I have talked to have at least been through Macon at some point in their lives. 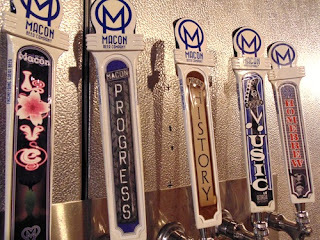 The next time you’re headed through, don’t miss the opportunity to visit Macon Beer Company. 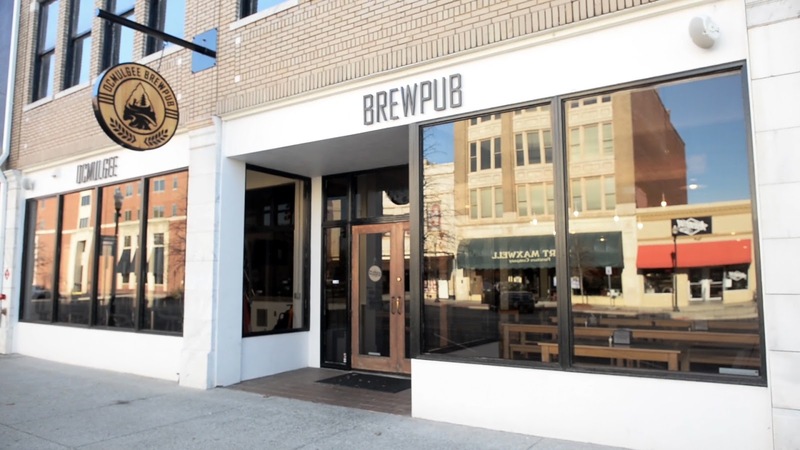 Despite the fact that they are in Macon, they have some really top-notch brews! 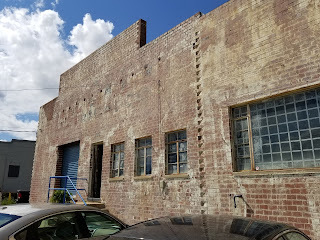 When I first pulled up, I struggled to find the front door. While normally I would hide this embarrassing moment, it was due to the fact that they did not have a sign indicating where to enter. Despite this momentary lapse, I headed into the large red brick building and was immediately greeted by the friendly staff member who introduced herself as the brewer’s mother. After a little conversation, we got our glasses and moved over to the bar area and took our seats. This large facility is lined with wood floors and rafters, and very old red brick walls; the building fit the “Macon culture” perfectly, and it didn’t stop there. Reading the beer list, you’ll undoubtedly groan or chuckle depending on your sense of humor. 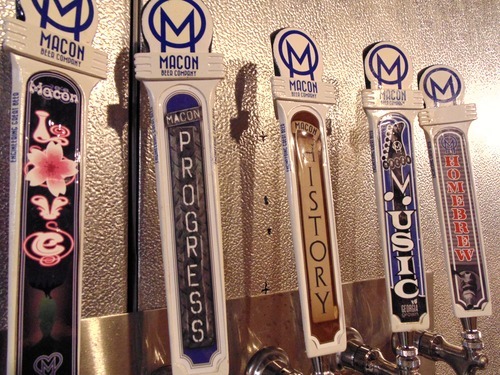 Every beer is somehow associated with the word Macon (which also translates to the southern twang which sounds like ‘mak’en’ or ‘making’). Some of these include Macon Progress, Macon Out, or Macon Love! Somehow more interesting than the the facility or the beer names, is the beer itself. The brewer/owner/chemical engineer has figured out something special in these brews, as they are all above the bar set by newer breweries! Macon Out, is at the top of my list; While described as a Blonde Rye Ale, it actually has a very Belgian-like character that i have not before tasted in the US. This same base beer also has alternative versions that add cherries among other things. Good facility, good conversation, good beer… With my visit, they have certainly made a big fan. While they don’t currently bottle, they did mention their plans to incorporate a canning line in the near future. I am excited to see where this brewery will go in the next few years, and more than that, am excited to have more of their delicious brews. Best Beer: Macon Out - At 5% abv, this straw colored beverage is at the height of enjoyability due to the light clove-spiciness and thin malt body. This beer is described as a Blonde Rye Ale, but I would place it right between a Belgian Blonde Ale and a Belgian Pale Ale. The biscuity malts and light fruitiness add to the complex flavor profile which is rare in such a light and drinkable brew. This brewery had a few very enjoyable beers. I got a flight of 4 and didn’t find one that I didn’t like. I did not get any food, but it smelled great so I’d like to visit when I return. Go for the Rising Sun IPA: a little darker and maltier than your standard IPA, but it was still crisp and hop forward with strong orange flavored hops. I walked over to Ocmulgee Brewpub and decided that it was time for food. After ordering a bison burger and fries (The”Tatanka”), and a flight of their own brews, I was content. The meal was awesome and I would get the same thing again if I return. The beers were also very enjoyable with the IPA hitting the spot. Muscogee Curse IPA is a 7% abv beer with lots of different citrus fruits and a balanced caramel malt backbone.